Stamps are back in a big way. June saw the sale of the enigmatic British Guiana One-Cent stamp at Sotheby's. Toovey's sale on 12th-15th August is a great place to start a collection. 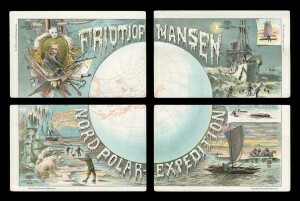 Here we have chosen our favourite pieces from the Paper Collectables portion of the sale which includes postcards, cigarette cards, photographs, autographs and more. These postcards are truly stunning. 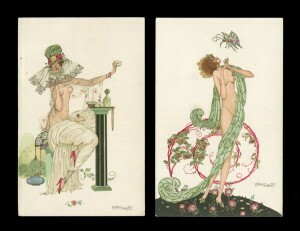 The lot is a group of 6 Art Nouveau cards by Umberto Brunelleschi, each features a risqué portrait of a woman in glamorous attire. These postcards are wonderful pieces of art. 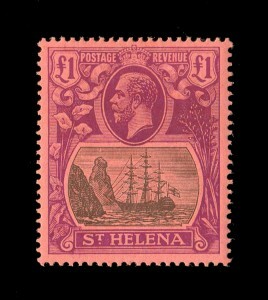 A wonderful looking stamp, the A St. Helena 1922 £1, fine mint, SG 96 is estimated at £100-150. Also included in the stamp sale will be the Penny Black, one of the most famous stamps in the world. 68 million of the stamps were printed, a large number for a stamp which was in circulation for under a year. 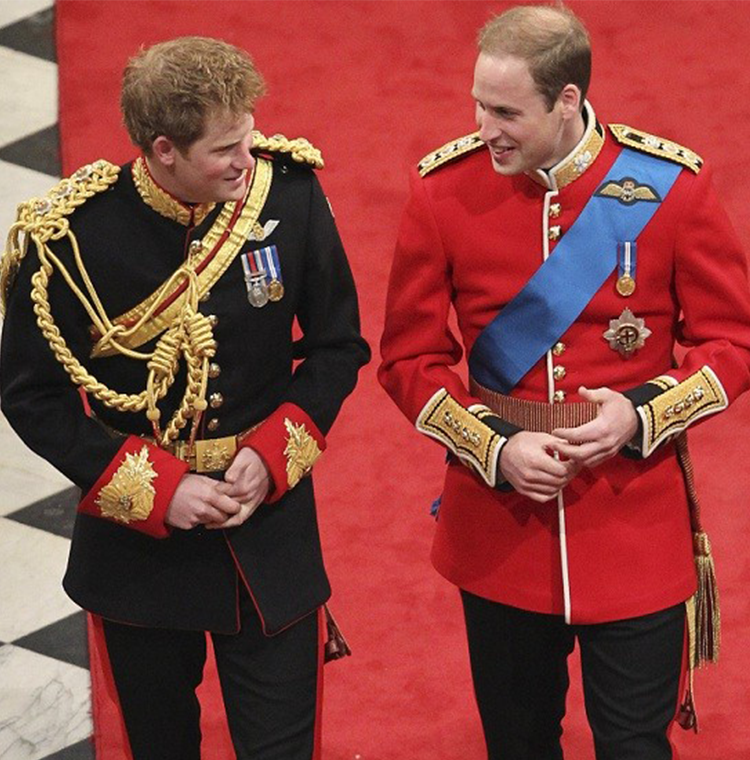 These royal menu cards offer a rare insight into the small details of the royal household. The menus include private dinners and state visits, at Windsor, Sandringham, Buckingham Palace, Holyroodhouse and H.M.Y. Britannia. 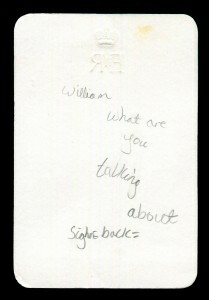 This example has been scribbled on by Prince Harry 'William what are you talking about, signe back' in pencil and dated Christmas Day 1993. The menus have come from one of the royal chefs. More from the royals. 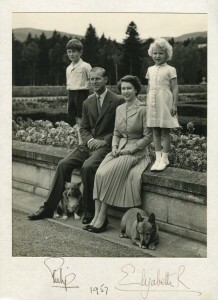 A black and white photograph of the British Royal Family mounted above the signatures of Prince Philip and Queen Elizabeth II, dated 1957. Corgis and all!